For PSA Essentials Stampers purchased after July 1 2009 only. 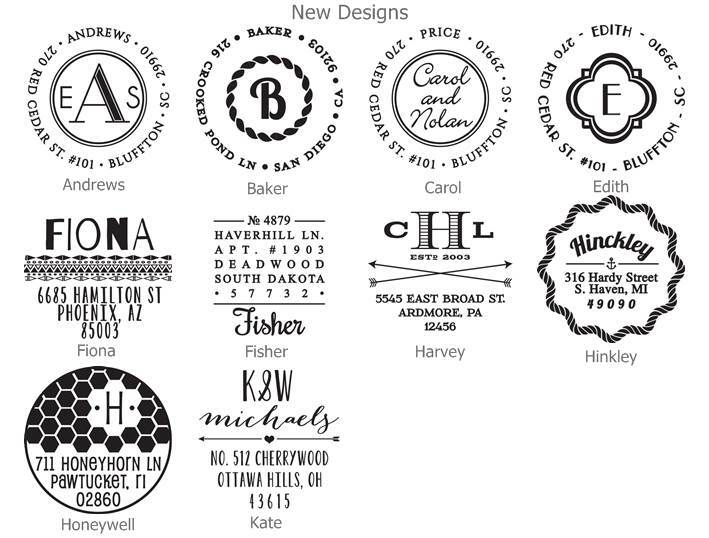 The top 4 rows of 20 designs have interchangeable design centers & interchangeable outer rings. The last row of 8 designs-the fill-ins and antique roman stamp; cipher come as full designs and have no outer ring-you peel away the entire stamp design. Stamper is 1.63" in diameter. Limit of 55 characters on the outside center as shown. 50 characters looks best. Shipping can take up to 10 business days. This is for the die only! No stamper body or ink are included.